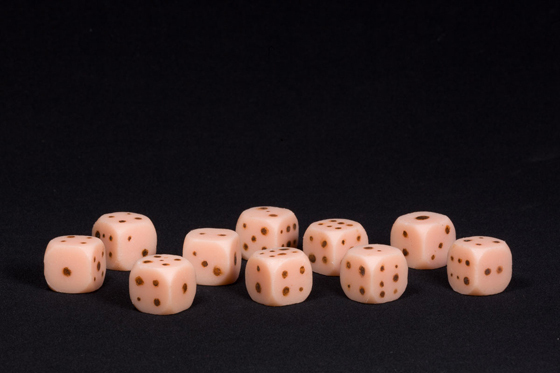 Twelve dice made to imitate human skin have been conceived at the Factum Arte workshop for Cuban artist Glenda León. The works were on show at the "Estados Transitivos" exhibition at the Galería Juana de Aizpuru in Madrid from the 26th October until December 7th 2016. The artist first visited the Factum Arte studios on the 30th March 2016 and a collaboration was established following a conversation with Factum´s director Adam Lowe. A block of special effects silicone was first moulded to the dimensions and volume of a standard-sized die. The cube was then cast in wax, and moulds taken from real skin pressed onto the wax and worked by the hands of Factum Arte´s Silvia Álvarez and Javier Barreno, to achieve a skin-like texture. Moulds were later taken of the textured wax covered silicone cube, and then cast in the same special effects silicone. Each die adopts the look, texture and feel of real skin - made even more realistic through the hand painted imitation of the artist´s beauty spots where the die´s pips normally exist. The realistic effect was achieved through an in-depth study of high-resolution images of the artist´s beauty spots, taken at Factum Arte during her second visit to the studios. 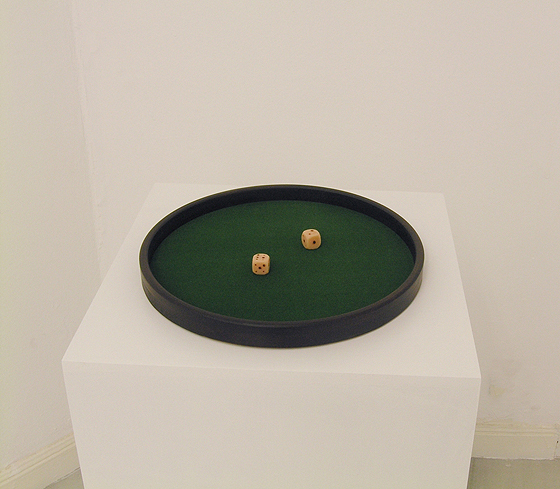 The series is an allegory to the game of love and desire, a symbol of the random, the accidental and the coincidental in each and every encounter and relationship that comes to flourish.